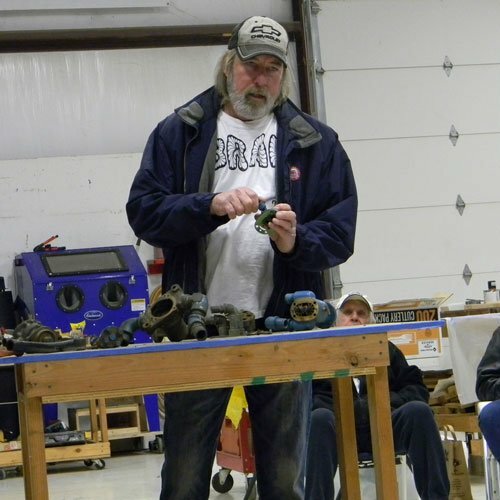 The 2019 Winter Restoration Workshop took place on a cold February day at Brent Howard’s big shop near Ketchum, Oklahoma. The first hour is always reserved for catching up with friends and their families – the number one benefit of belonging to Heartland Classics. Oh yes – the food: Donuts, coffee, and juice started the day. And a great lunch was catered, arranged by Chuck Gibbs, chapter president, and Kathleen Barrett, chapter secretary. Ship’s Store and registration were managed by Becky Caddell. And many attendees went home with new treasures from the silent auction. 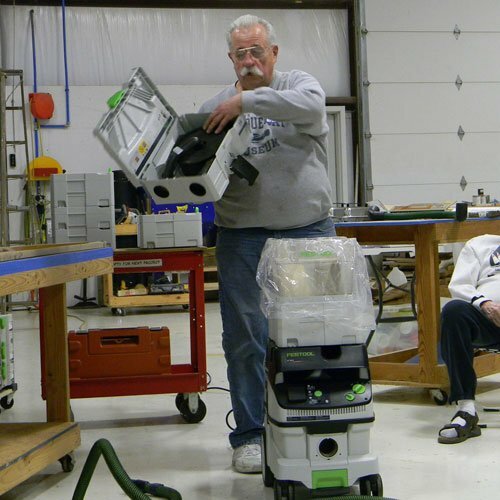 Heartland Classics member from Houston, TX, brought a complete setup of one of his favorite tools; a Festool Dust Collection System. Building laminated oak ribs for curves. who has a local marine service at Grand Lake, is a specialist in caring for outboard motors. 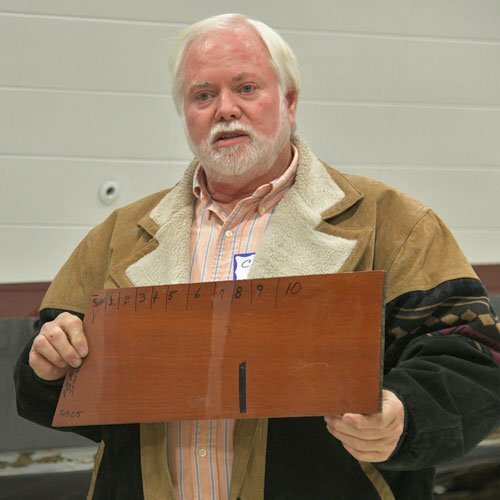 Heartland Classics member and boat restorer extraordinaire, presented preparation and application techniques for wood boat varnish. a mechanic on the Howard Classic Boats staff, had a display of various water pumps and impellers. 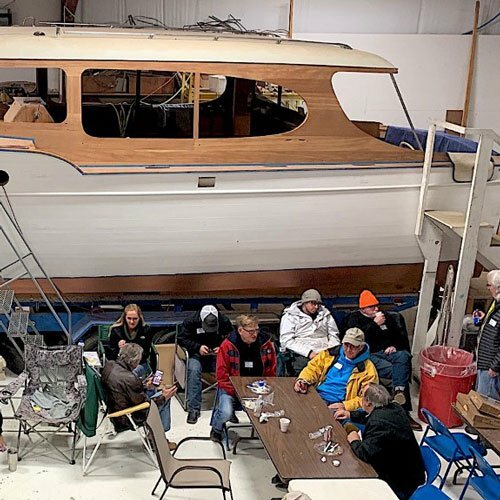 Before, after, even during the day, attendees observed the progress on Brent Howard’s own “Class of 47” Double Stateroom 46’ Chris Craft, Eric Grimshaw’s 1964 CC Constellation, and in the paint room, Jack Schurman’s “Sweet Mary” Grand Craft getting a facelift. 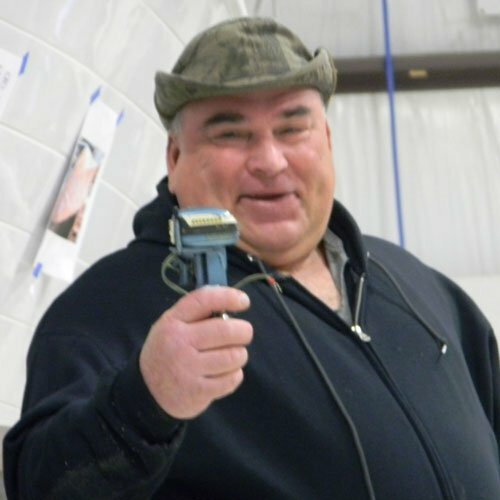 Thanks, Dan Diehl, for planning a great day and Brent Howard and staff for hosting the 2019 Heartland Classics Restoration Workshop. 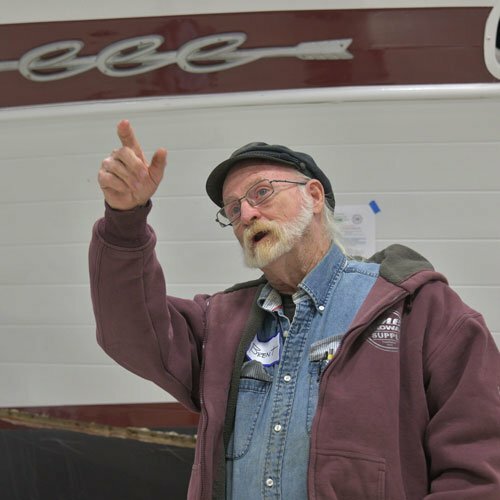 Heartland Classics’ restoration workshop gives the opportunity for classic boaters to come together to learn and share knowledge about classic boating and the preservation of vintage and wooden classic boats. 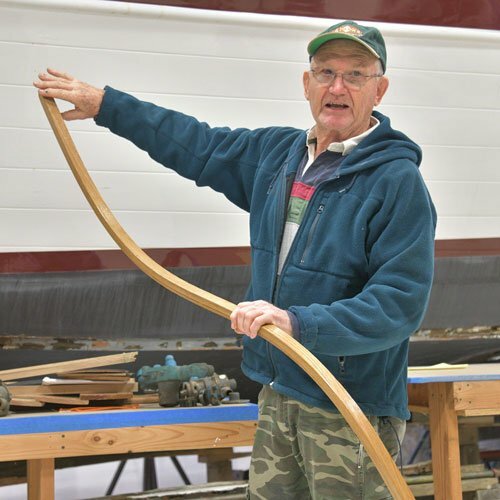 Topics covered at past workshops include wood boat repair, boat plank replacement, stripping, staining & varnishing wooden boats, fiberglass boat repair, and engine maintenance. 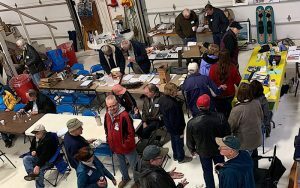 Heartland Classics silent auction / swap meet is held at this event and where attendees bring unwanted marine “stuff” to donate to the club for the silent auction. Proceeds help fund the Mahogany & Chrome Newsletter. 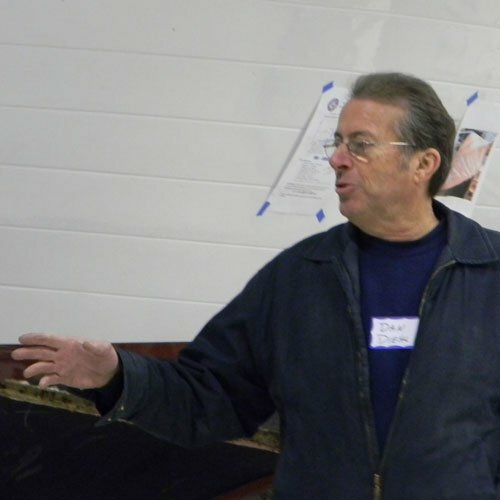 Each year the workshop is organized by the Workshop Event Chair, Dan Diehl. Appreciation to Brent Howard and his crew at Howard Classic Boats who have hosted our group for the past 25 years in the Grand Lake shop near Ketchum, Oklahoma. From HWY 82. North of Langley, OK and South of Ketchum, OK. Turn East on E. 350 Rd, for .7-miles. Turn South on S, 4467 Rd, for .7-miles, past Dead End sign. Howard Classic Boats will be on the right.